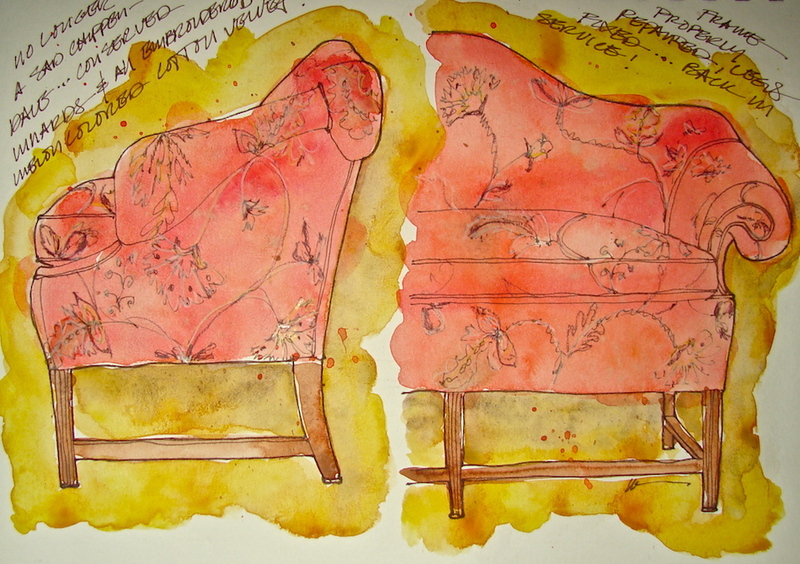 A Chippendale sofa in our studio caught my eye; Mitchell does such beautiful work! family heirloom in order to resurrect it from the broken state. parts of the frame broken, and it was badly in need of having its innards conserved. 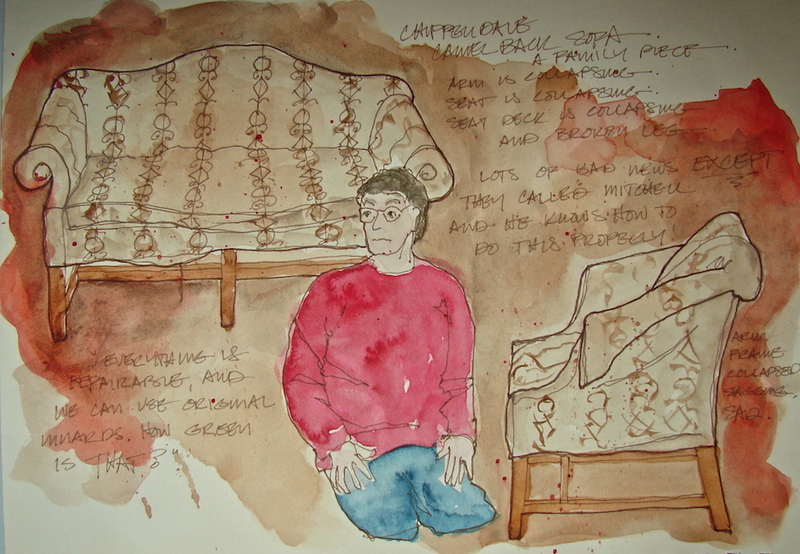 At the client’s home, from an image. Below, after the conservation, with a new embroidered cotton velvet showcover. Possibly one of my favorite pieces he ever conserved, it was edible! and Daniel Smith watercolors with Prismacolor pencils. This entry was posted in antiques, conservation techniques, preservation, reparation, restoration techniques, upholstery. Bookmark the permalink.